The following video of Tom Myers was the subject a Facebook thread I participated in. The information presented was not in any way, shape, or form in accordance with current science based understanding of this issue. Jason Erickson, NCTMB, CMT, ACE-CPT, CES, CAIST, BBA, BA, AA gave the response below. I consider it to be a very thorough refutation of Myers position. Myers is not being attacked - but his ideas are. This is as it should be. Mr Erickson posted this to YouTube and it was removed. I consider his response to be of sufficient magnitude that I would like it preserved here for future reference. I received specific permission from Jason to publish this here. It is my hope that it will be read and introduce many to real pain science and give a foundation for further learning. This video really disappointed me. A while back, I invited Tom Myers to participate in discussions of pain science with people that have serious credentials and expertise in pain science. He didn't participate for long. It now appears that he never did learn anything from the resources made available to him. An unpleasant sensory and emotional experience associated with actual or potential tissue damage, or described in terms of such damage." I am glad that he acknowledges the presence and role of the free nerve endings in nociception, but he seems to think that nociception and pain are the same thing, as if they are strictly a biological phenomenon. This is also not true. Note: Consequences of encoding may be autonomic (e. g. elevated blood pressure) or behavioral (motor withdrawal reflex or more complex nocifensive behavior). Pain sensation is not necessarily implied." Nociception is unfiltered, raw data. It is not a sensation. Some reflexive responses can be triggered locally or at the nerve root, but there is no sensation until the brain interprets the incoming data. Whether or not nociception is transmitted to the brain is mediated at the spinal cord level, and the significance of what the brain receives is mediated by many different parts of the brain associated with memory, cognition, emotions, learning, sensation, motor control, etcetera. If something else demands higher brain priority due to psychosocial contexts, the brain may "ignore" that nociception altogether. That contextual interpretation of the raw sensory input is a critical part of whether or not the brain generates the sensation of pain. In this video, Tom refers to yoga practitioners experiencing strong sensations that could be uncomfortable/intense but not painful. He also states that those who are "reaching their physiological limits" may experience pain. Those new to yoga, who have not yet become comfortable with the poses and practices, often lack the contextual learning that would facilitate performing yoga without pain. The practice of yoga (or other strenuous physical disciplines) trains the nervous system to interpret sensory data with a greater discrimination between what represents threat and what does not. Like Tom, I do not believe in the "No pain, no gain," approach to bodywork. I'm more of a "No pain, more gain," therapist. 1) "Pain coming into the body": Here, Tom seems to think that pain is something that is inevitable from the moment our tissues are affected in some way. No. We have known since the 1960s that pain is not an input, and that the nervous system modulates whether or not we feel pain, and to what extent - that is what precipitated the publication of the Gate Control model of pain. However, even then the authors knew it was flawed and limited, and did not explain many known pain conditions. It is true that nociception can be very important in the processes that result in the sensation of pain, and the term "nociceptive pain" would seem to cover what Tom is talking about here. Note: This term is designed to contrast with neuropathic pain. The term is used to describe pain occurring with a normally functioning somatosensory nervous system to contrast with the abnormal function seen in neuropathic pain." Note the mention of neuropathic pain. Nothing is "entering the body", it's already part of the body. There is much more to be said about it, but I'll leave it at that. 2) "Pain stored in the body": Tom basically says this is experienced as fatigue, malaise, and postural changes... but not as pain. Here he is misinterpreting changes in posture/movement as pain instead of as non-painful co-occurring symptoms. As an analogy, it makes a crude kind of sense, but if we're going to think clearly about our terminology and the underlying processes of pain and altered motor control, then we need to avoid this sort of thing. A body under stress with a nervous system that is constantly/chronically interpreting threat(s) from incoming somatosensory input will normally make adaptive changes including autonomic physiological responses (altered, often increased sensitivity to sensory inputs, altered hormone levels, circulatory changes, breathing habits, etcetera). These have enormous impacts on how we experience the world. Our postures, habitual movements, gaiting, balance, coordination, etcetera may be impacted as well. I do tend to agree with Tom that the body often attempts to arrange itself so that it feels less threatened. (He says "pain" but I think I understand what he's trying to say.) These changes in physical arrangement are not always associated with pain, however, and may not be subject to a physical "release". There are psychosocial dimensions that Tom is not addressing here that are at least as important as anything that can be done manually. 3) "Pain leaving the body": This is the least clear portion of Tom's talk. My interpretation is that he is primarily referring to mental/emotional experiences that are uncomfortable, and that he seems to think it's important for a person to have some sort of "remembering" of prior trauma (either as physical sensation, emotions, or whatever) during their treatment(s). I am very concerned about this part, because he says he believes that people can't be treated for pain without them having some sort of intense physical/mental/emotional re-experiencing of the prior trauma. In my experience, that's patently NOT TRUE, and I would NEVER, EVER plant that idea in a client's head. Doing so may actually make it more difficult to help them, and possibly even make their pain worse by creating a false expectation that might never be fulfilled... and then the client may never recover fully. Also, massage therapists/bodyworkers should never have the intention of inducing such a mental/emotional response in a client. In doing so, we may actually re-traumatize them. That could make their issue(s) much, much worse. Besides, it is outside of our scope(s) of practice. We are not mental health professionals, and should never seek to pretend otherwise. Instead, it would be better to never mention this idea to a client, and just work with them. If they have such an experience, just be a caring professional and give them a safe space for it as appropriate. If they have questions about such things, just let them know it happens now and then. Sometimes it's minor, but for some people it can be pretty intense. Keep some tissues handy just in case. Don't make it a big deal. It's their experience, so let them decide how significant it is in their recovery process. Tom also seems to think that we are walking around holding the collective traumas of all of our ancestors as "stored pain"... but then he veers into historical contexts that are effectively social contributions to how we think, feel, and move... and ends by saying that he thinks personal trainers should help "get the pain out" through exercise. As a personal trainer and corrective exercise specialist who has helped many training clients get through their rehab process, I agree that movement and training can be very effective ways of reducing/overcoming pain. 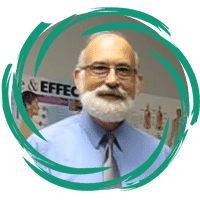 In some ways, parts of Tom's descriptions of his "three types of pain" correlate with different aspects of the biopsychosocial notion of pain that is rapidly becoming the dominant model for understanding how pain works and how to treat those who have pain. The Neuromatrix Model of Pain, authored by Dr. Ronald Melzack (who also coauthored the Gate Control Model), lays out a rough blueprint for understanding how biological, psychological, and social factors all contribute to how/whether we experience discomfort, and why. There is a link to a paper "Pain" about pain and the historical development of pain science (also authored by Ronald Melzack, with Joel Katz), in the comments pinned to the top of this page (That was in the original FB post - here is that link: Pain Article by Melzack & Katz. It's an excellent read, and if you've read this long post, you'll be just fine with that paper. Though my personal interactions with Tom have been positive, I think there is more value in studying the actual pain science than there is in listening to him talk about pain. I like some of the hands-on methods he teaches, but I think the reasoning demonstrated in this video is severely flawed by lack of modern medical knowledge about pain, what it is, how it works, and why. A very frequent thing that I hear as a massage therapist is that people really believe that unless it hurts – massage is not going to help. The message is delivered to me in many ways. Some people come in and ask for “deep tissue massage.” Others tell me to press as hard as I can – they can handle it. Many relate positive results of previous treatments with other therapists. There are many reasons for these requests. Many believe that their posture needs to be improved and that the only way to do this is to have someone use a good deal of pressure to put things “back in place.” Others believe that their muscles are so tight that only tenderizing them like a piece of meat will work. My preference in these situations is to ask why they are coming to me in the first place. They usually mention some type of pain that they want to go away. They have been to many other practitioners and now they are in my treatment room. They often give me an overview of their life and health history. This is where I get some of my best indicators of what needs to be done. Almost without exception I learn of multiple stresses in their life. We all know and have lived the litany of problems at home and work, health issues, and whatever maelstrom they happen to inhabit. Now they are with me. At this point I like to point out that I don’t fix people. Surgeons do that. I explain that the skin contains nerves fibers that report to the brain. There are danger receptors (nociceptors) and receptors that tell the brain where they are in space and what is happening to their skin (mechanoreceptors). My work currently focuses on activating the second group instead of the first. Some therapists and those who like to see them prefer techniques that activate the danger receptors. It feels good and both the therapist and the client can testify to the good results. It’s hard to argue with results. So why are painful treatments giving the good results? Why on earth would anyone argue with such a thing as a good outcome? If everyone involved is happy – why don’t I do the same thing? I did do the same thing. I did it for many years. I treated a huge number of people. I believe that I do a much better job now. To understand what I was doing, let’s take a look at how the nerves in the skin send their information. The type of pressure that activates the danger receptors is usually perceived as somewhat painful. This is because it creates a little inflammation. This is one of the ways to activate the danger receptors. The brain uses this opportunity to release chemicals (endorphins) to decrease the sensitivity of the spine to input from the danger receptors. This is sometimes called descending noxious inhibitory control. Endorphins also affect the brain in a number of ways.